eSIM (Electronic SIM). A telecommunication technology in which phones need no physical SIMs. 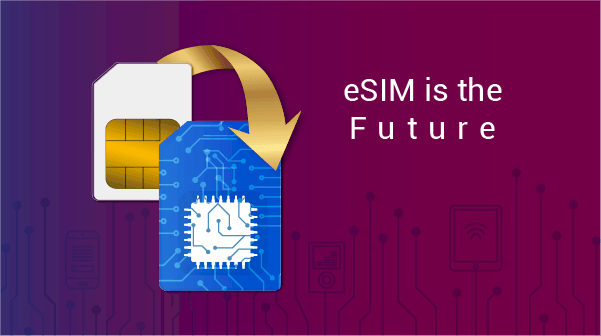 eSIM technology is based on VoIP (Voice over internet), thereby, eSIM has outstanding features and services that regular SIM cannot afford to provide: Multiple phone numbers (operators), enhanced security, many features and lower costs. No wonder eSIM is getting more crowd and expected to replace SIM in the near future. Many phones manufacturers, like Google and Apple, have introduced new products (phones and watches) that have built-in features especially developed for eSIM technology. How does eSIM technology work? eSIMs can be activated to operate with any, and multiple, operator subscriptions around the world. While changing operators needs replacing with regular SIMs, you can change service providers (operators) in an eSIM application with a simple click/tap. The eSIM application stores one, or more, operator’s profile on your phone’s memory. As a technology that mainly relies on VoIP standards, eSIM uses your IP (Internet Protocol) to send and receive your voice and data. But how do service providers (operators) identify you? Within the eSIM app, you can subscribe to one or, definitely, many operators by purchasing virtual numbers from different countries (eSIM applications provide tens or hundreds of countries to buy numbers from). Once you have bought your number, the eSIM application will provide the operator with your basic information to identify your identity. Usually, all subscription details (features of each number as well) are displayed by the eSIM application itself before purchasing. eSIM is a technology that was developed upon VoIP techniques, therefore, you will notice that all VoIP features, including the calls low costs, are available on your eSIM application. eSIM calls are made and received the way VoIP calls do. Your voice’s data is converted from analog signs into digital signs. The digital data is encrypted using very complex encryption algorithms before the data is sent to the receiver. At the other end, your data is decrypted and its digital signs are converted back to analog signs so the receiver can hear your high-quality voice. Why should I switch to eSIM? When comparing a regular SIM to an eSIM, the features and benefits of eSIM are beyond counting! If you are a business owner, eSIM can offer you the opportunity to start your own call center and have multiple phone numbers in different countries; to professionally represent your organization everywhere and at much lower costs! A regular individual user? You also can take advantage of eSIM technology to make and receive high-encrypted calls and use each phone number you buy dedicatedly. Make international calls at prices of local calls and customize your virtual phone number’s services to your convenience. What are eSIM Technology features? Cost Efficiency: And that’s what eSIM is famously known for. When you are using an eSIM app, you are using the internet as your carrier for local and international calls, that would definitely reduce the costs to the minimal. eSIM systems allow free-of-charge functions such as Chat and Instant Messages. If you have your own company, you won’t need to spend thousands on buying phone lines, eSIM provide its users with a redirecting calls functions to save a tremendous amount of money. Did you know that all you need to join the fully-featured eSIM world is your smartphone/watch and a subscription? You will not have to buy telephones for each phone number. Virtual phone numbers you purchase can be accessed all within your eSIM application to make and receive international and local phone calls, let alone the unlimited functions and services that any smartphone or data-driven device can handle. No maintenance costs to pay: eSIM technical issues are handled by the provider. Most eSIM service providers don’t require long-term contracts with subscribers, hence, you will not have to think much or have concerns about budget. You can evaluate the provider’s quality of service right from one short-term subscription. Professional Presence: Can you imagine the impression your clients will have about your business when you are contacting them from a local area-code number while you are sitting thousands of miles away? 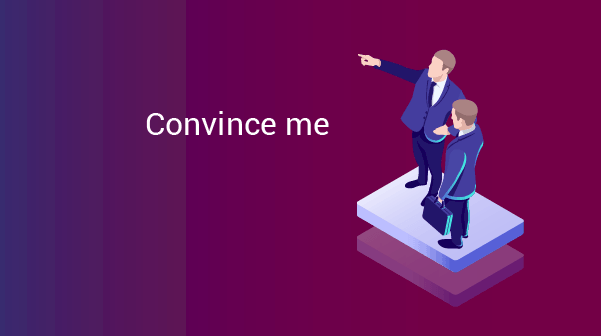 A super cheap virtual presence to build trust with your audience. Not just your clients! You will be able to contact your business partners in other countries like if you were neighbors. Using a phone number of their own area would show your partners that you have your presence there. Portability: Virtual numbers are not tied to a particular device. As long you have the subscription details, you can use your eSIM phone numbers anytime and anywhere. Security and Privacy: eSIM is a full-scale privacy environment. Now with eSIM technology, you will be able to prevent others from making unauthorized calls without your permission. Phone calls via any VoIP-based technology is absolutely safe! The very complex encryption methods they use can guarantee no third party can hear or record your calls or messages. Flexibility and Smooth Management: They take care of the biggest part! eSIM service providers are responsible for maintenance and technical support of your small center call. This shall give you the chance to devote your time and energy for your business matters. Advanced Services and Functions: All VoIP services and functions are available in eSIM applications. Call Forwarding, Call Attendants, Free Roaming, Video Conference, Call Screening, Ring Groups and many others. Free Roaming: Zero costs for roaming when traveling. Call Forwarding/Voicemail: Forward your calls to other phone numbers or voicemail when you are offline. Anywhere Reception: Receive your calls anywhere you go around the world. Group Calling: Call multiple people concurrently to save time and effort. Social Media Numbers: Register in Social Media networks for more security. Hiding Number: For more privacy, eSIM applications provide “Private Number” function. 24/7 Customer Support: Leading eSIM applications, like Numero eSIM, dedicate a Customer Support team to help you around the clock. Multiple Payment Options: PayPal, Credit Cards, Redeem Codes and more. 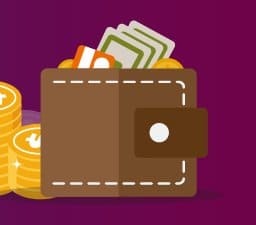 Business Owners: eSIM would save a lot of money and investments for businessmen by taking advantage of the cheap costs of international calls and the short-term contracts with service providers. When a business owner has bought a number in where his clients and business partners live, he/she would leave a decent impression on them. Freelancers: Calling from a virtual number that appears local to the receiver is one perfect way for a freelancer to look professional. When a freelancer add a virtual phone number of one of the top countries, they’d attract more clients. Travelers: eSIM as their telecommunication way would be their ideal option to save money. International calls via eSIM applications are much cheaper when compared to regular SIM networks. Most eSIM operators provide Free Roaming service, which means a traveler would reduce a decent amount of money every time he/she visits a country. If you are traveling, calling restaurants, taxis and hotels can be a heavy burden on your budget. With a virtual phone number, the rates are almost the same as local calls. Expats: Expats and immigrants have already had enough to deal with! The cost efficiency eSIM afford is what they exactly need. Using eSIM services, they’d be able to contact their family members and loved ones cheaply and never miss a call by activating Call Forwarding and Voicemail features. Regular Individuals: eSIM has enough features to convince anyone! Even the regular callers. Multiple phone numbers, cheap calling costs and uncountable functions to set their best telecommunication environment. The Best eSIM Applications: Any Advice? eSIM technology is rather new. Applications are still expanding their work-area and include more countries to their lists. After doing our research, we have found several eSIM applications that are worth trying. Numero eSIM, for example, is a fully-featured eSIM app that covers almost all top countries around the world. The app was developed by telecommunication programming experts and their prices and promotions can be considered fair and suitable. Numero eSIM has all main VoIP calling features such as the ability to use multiple phone numbers, group calling, call forward and attendants . The app is ad-free and it’s available in four global languages (English, Arabic, French and Spanish). Visit Numero eSIM official website to know further and download the app.